Summer is in full swing, but fall is just around the corner. Many of you may be starting to work on your year-end appeal, but have you given any thought to how you will thank your donors? 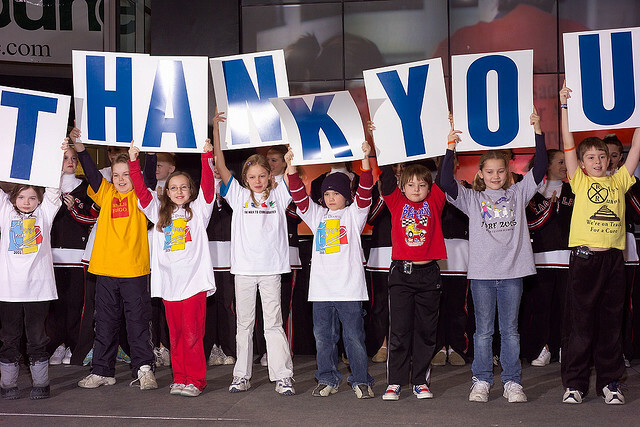 Thanking your donors is just as important as your appeal. Here’s how can give your donors a great thank you experience. Many people donate online now, and your landing page is your first chance to say thank you. It should be personal and not have all the charm of a Home Depot receipt. Open with Thank you, Jean! or You’re amazing! Include an engaging photo or video and a short, easy to understand description of how the donation will help the people you serve. Put all the tax deductable information after your message or in the automatically generated thank you email. Set up an automatic email to go out after someone donates online. This will let your donor know that you received her donation and it didn’t get lost in cyberspace. Be sure it’s warm and personal. Just because your thank you email is automatically generated, doesn’t mean it needs to sound like it was written by a robot. I’m a firm believer that even if someone donates online he should receive a thank you card, letter, or phone call within 48 hours. You can make your donor’s day by sending a handwritten thank you note. Personal mail is so rare, and your card will stand out. Now is a good time to create some thank you cards. 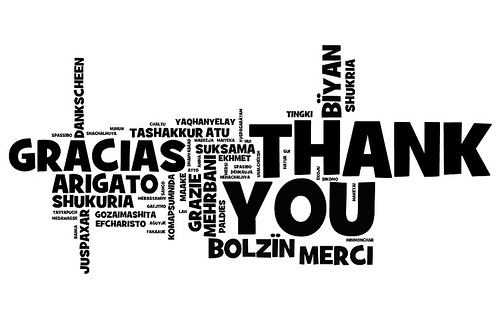 One idea is to use a picture of a client or group of clients holding a thank you sign. If cost is an issue, you could get the cards donated. Writing cards will take more time, so you’ll need to plan ahead. Craft a sample note; recruit staff, board members, volunteers, and clients to help write cards; and hold thank you writing parties immediately after you send an appeal. You can do the same thing with thank you phone calls. Create a sample script, recruit people to make calls, and hold thankathons after your appeal. If it’s impossible to write cards or make phone calls, then send an awesome letter. This means something personal and conversational. Leave out vague jargon such as at-risk or underserved. Recognize past gifts and upgrades, and give a specific example of how the donation will make a difference. Something like this. Thanks to your generous donation of $75,we can provide a family with a week’s worth of groceries. Thank you for being a longtime donor! Approximately 70% of first-time donors don’t give a second gift. We need to change that. Start thinking about creating a welcome package for your new donors. A week or so after you mail a thank you note/letter, send something in the mail or by email, if money is tight. How Welcoming is Your Welcome Package? Keep in touch now and throughout the fall, so you stay on your donors’ radar. Then continue to thank your donors all-year round. As you you prepare for your year-end appeal, please don’t treat thanking your donors as an afterthought.